As "Prospective Members" you are invited to come along and "taste" a few IVC events before deciding whether you wish to join. We invite you to try up to eight events over an eight week period before you commit yourself to joining. If you decide to join, there is a one off joining fee and a very reasonable annual subscription. Club members are asked to host at least two events in any one year and are given plenty of help and encouragement to do this. 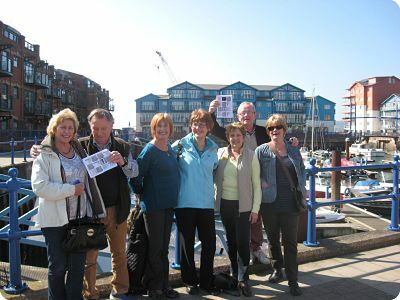 Exeter IVC is a friendly, active social club particularly suitable for the over 50s age group. Members put on events that they like and invite the other members to join them. If walking is your great love, you could host a walk. If you enjoy eating out or you fancy trying some new restaurant you could host a meal or maybe even organize a dinner party at home where members contribute to the food. As a member of IVC its your choice as to what you want to do so all ideas are welcome. IVC is a club run by the members for the members.